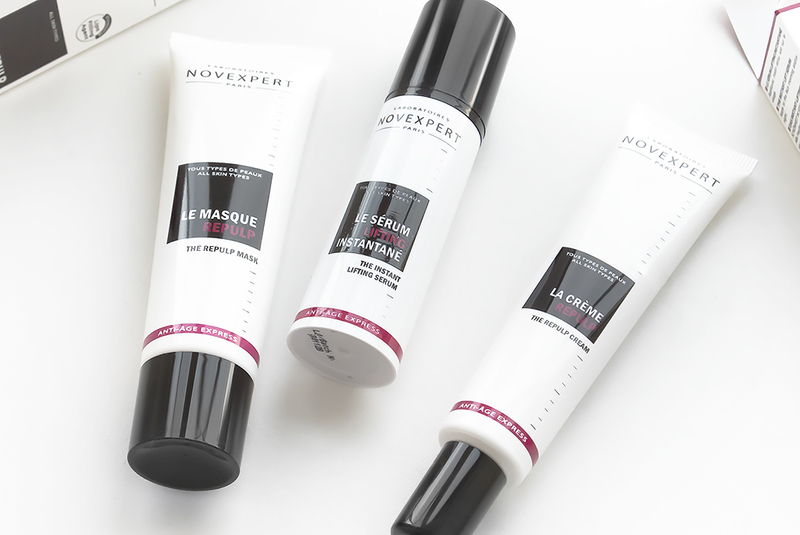 The Novexpert Express Anti-Ageing Care range is suitable for anyone 20+ with ageing concerns or wanting to prevent premature skin ageing. The range has three parts: The Repulp Mask; The Repulp Cream and The Instant Lifting Serum and is available here, direct from Novexpert UK. The product on the far left of the image above, The Repulp Mask is an express mask designed to immediately plump, hydrate and soften the skin, reducing the appearance of lines and wrinkles. It can also be used after exposure to the sun, cold weather, wind and after exercising, as often as needed. Leave on for 10 minutes for normal skin or 15 minutes for drier skin, then, rinse off with water or wipe away with a cotton pad soaked in your favourite toner. Free from parabens, EDTA, phenoxyethanol, silicones and PEG, The Repulp Mask contains a whole host of fabulously soothing ingredients including sunfolower oil, glycol, shea butter, jojoba, corn starch as well as two pure hyaluronic acids that immedialtey provide a “lipo-filling”action from within. Nourishing Vitamin E, Pomegranate and Green Tea help to input moisture making this the perfect treat for skin. Skin feels immediately plumped afterwards and unlike many anti-ageing masks, you’re not left feeling sticky, greasy or shiny. The product swatch in the middle. The Instant Lifting Serum actually instantly lifts, you can genuinely feel it; as I sit and type, it feels like my forehead has been partially botoxed, powered by two powerful botanical tensor agents, reinforced with skin plumping and hydrating hyaluronic acid. On application it tightens skin in less than five minutes with effects lasting several hours; it really works. On application, skin is really brightened, and despite feeling tightened and more lifted, it really hydrates. Skin tone and radiance is improved by a raspberry and apple complex to give a“peachy skin” effect. Apply both morning and night after cleansing/exfoliating and toning the skin, only around one pump is necessary and massage into until completely absorbed. 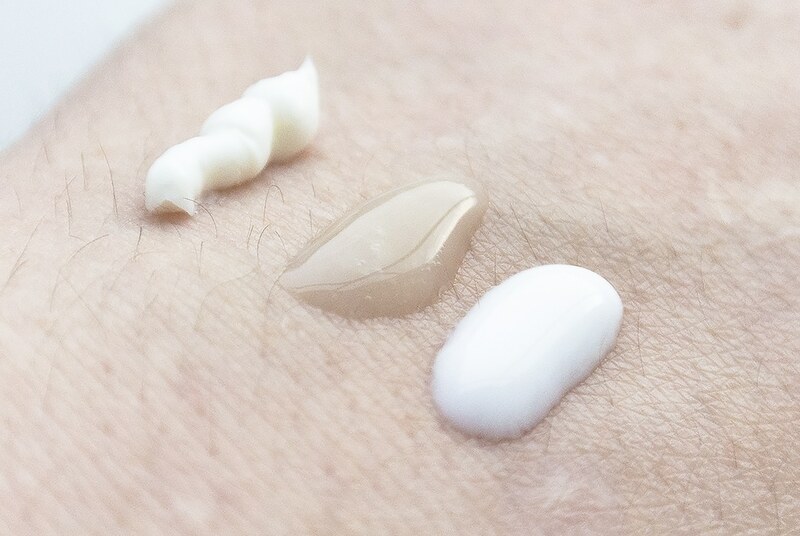 On the far right of the swatch image, with two forms of skin plumping, and hydrating forms of hyaluronic acid, The Repulp Cream immediately plumps and increases firmness in just 21 days without a single chemical ingredient, for all skin types. Pomegranate and Green Tea extracts protect skin from anti-free radicals, alongside the patented ingredient Novaxyline. Ultra-effective Seaweed, combined with Commiphora stimulate collagen and cells for spectacular anti-slackening results. While Raspberry and Apple complex give a “peachy skin” effect adding enhanced radiance. On application, you only need a small amount by the way, skin is left dewy but not shiny, greasy or saturated. The peachy skin effect is really not rubbish, my complexion genuinely feels and looks boosted and brightened. I have noticed the emotion lines on my forehead have been greatly reduced over the last couple of weeks. This article first appeared on MANFACE written by Thom Watson. It was published on Tuesday 7th January 2014 and was last updated on Monday 3rd April 2017 at 3:11pm. It's categorised under Anti-Ageing, Mask, Moisturise, Novexpert, Serums & Treatments where you'll find more related content.